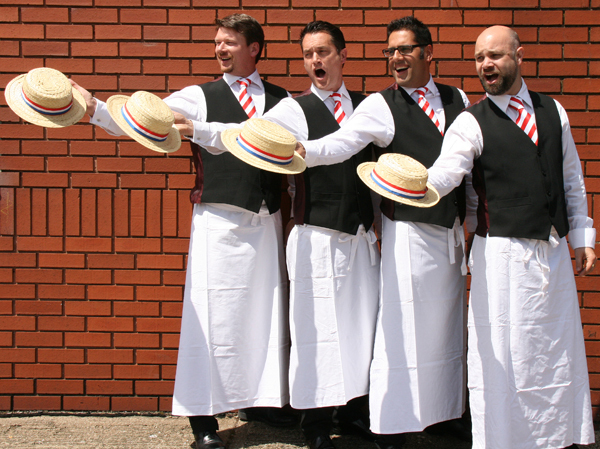 A versatile, vibrant Barbershop Quartet who can bring a sparkle to special occasions and events. ...thank you so much for your fantastic sound and hard work...You were great. 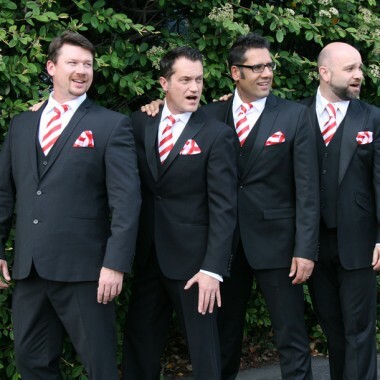 The Brothers Trimm perform standard repertoire as well as introducing a new twist to Barbershop by singing modern classics such as Michael Jackson, Queen, The Beatles, and many more! 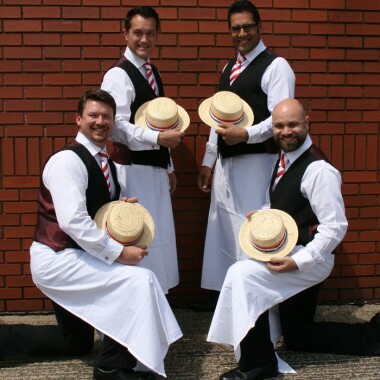 They can tailor their performance to your individual requirements, such as writing and performing personalised songs for your unique occasion, and can add a festive atmosphere to any function by surprising dinner guests as singing waiters, or by ‘meeting and greeting’ guests on their arrival. The boys are some of the most sought after session singers in the UK and their close harmony vocals are superb. They have recently successfully performed at their first awards ceremony and have a selection of ‘stings’ ready to go, or can create original arrangements – or even compositions – for an extra fee.